It was eight years ago last month when the Penguins were in this spot looking for a new general manager. The last time around, Mario Lemieux had to fire Craig Patrick, a career hockey man that Lemieux respected considering their time together. Patrick was the General Manager of the Pittsburgh Penguins for 17 years and when he left, the team had an obscene collection of quality young hockey players. Ray Shero took over a team that featured Sidney Crosby, Evgeni Malkin, Marc-Andre Fleury, Brooks Orpik, Ryan Whitney, Kris Letang, Colby Armstrong, Max Talbot, Alex Goligoski, and Tyler Kennedy. In addition to that, Shero had the second overall pick for the 2006 draft (Jordan Staal) and plenty of salary cap space to make key acquisitions. Since the Penguins won the Cup in 2009, one narrative always at the top of everyone's mind was Dan Bylsma coached Michel Therrien's team to the Cup and as much as that had some truth to it, maybe the same should be said about Shero managing Patrick's team. It was Patrick that had to move star player after star player because of the financial problems the team was facing and agreed with ownership to rebuild the franchise through the draft. Just as Bylsma was credited with making a few adjustments to the team's puck retrieval system in the defensive zone and releasing the hounds on the forecheck, Shero did the same by adding speed, grit, and character to the roster. When Shero was hired, he identified those traits as needs for the organization, a bit of a critical statement on Patrick's team building philosophy coming out of the lockout. Funny, eight years later and we're seeing the same things said about the organizational needs under Shero's stewardship but this time coming from Lemieux and Ron Burkle. The next general manager will need to build a roster around the draft to keep costs down and not have a laser focus on a single position (defensemen), same type of player (under 6' forwards), or from the same geographic location (i.e. North America). For the last three years, Pens have lacked the youthful exuberance like they received during the 2008 and 2009 playoff runs to the Stanley Cup Finals. Those teams created by Patrick and Shero had skill, size, speed, grit and character, the team that lost to the New York Rangers had very little of it. Over the next two weeks, we'll hear plenty of names to replace Shero, none hotter than 49-year old Pat Brisson. Brisson is currently an NHLPA agent that represents Crosby and is the co-head of the Hockey Division of Creative Artists Agency (CAA) with J.P. Barry, the agent for Malkin. Brisson's experience in hockey started as a player reaching as far as the Quebec Major Junior Hockey League (QMJHL). Brisson had a respectable junior career as he played in 245 games and scored 112 goals. It was during his time in the QMJHL that he struck a friendship with former Los Angeles Kings star Luc Robitaille and while his playing career ended after the 1986 Memorial Cup loss to the Guelph Storm, he decided to move to California. 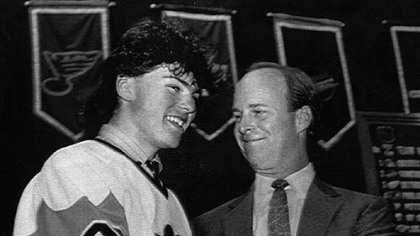 He would begin to help Robitaille in marketing and it was during this time Brisson's connection to him that he got to know Lemieux better as former QMJHLers. Brisson's business relationship with Robitaille and Lemieux helped him grow his t-shirt and other businesses but more importantly, it led him to meet agents Tom and Steve Reich and eventually their sports agency, IMG. In 2008, Brisson was named as the 12th most influential agent in sports because of his success to get the top players under his representation such as Crosby, Patrick Kane, and Erik Johnson. It was Brisson that helped negotiate Crosby's deal with Gatorade that featured the first NHL player in a US commercial since Wayne Gretzky. This isn't the first time Brisson's name has been connected to a GM opening in the NHL as the Montreal Canadiens had showed some interest in him before they hired former Penguins defenseman Marc Bergevin in 2012. At the time, Brisson said he didn't want to leave the business he helped build and really cared about his players. Hiring Brisson would present a risk to the organization because of his lack of experience managing a hockey operation and his connection to Crosby and Malkin could make others feel uncomfortable, especially any coaching staff. Brisson isn't the only candidate with an inside connection as the Penguins have promoted Jason Botterill to interim GM until a replacement has been named. Botterill, who will turn 38 on Monday, was the Assistant General Manager under Shero for five years. Prior to this change, Botterill was responsible for scouting, player development, contract negotiations, managed Hockey Operations, and GM for the AHL affiliate Wilkes-Barre Scranton Penguins. Before joining the Penguins, Botterill worked in the NHL Central Registry and scouted for the Dallas Stars. Botterill's name was connected to recent GM openings in Buffalo and Vancouver. What is not known is whether ownership will look to clean house by bringing in an outsider or if Botterill has an inside edge because of his familiarity with the franchise. Considering ownership believes the team doesn't need to be blown up, this could work to his favor. Predators Assistant GM Paul Fenton - Could the Penguins strike twice hiring the understudy of Nashville GM David Poile? Fenton, 54 years old, worked as Nashville's Director of Player Personnel for eight years and since Shero's departure with the Predators, he's served as their Assistant GM for eight years. Prior to arriving in Nashville, Fenton worked with the Ducks for five years, three as a scout and then two as the Chief Pro Scout. A strike against Fenton could be the Predators have struggled to draft and develop a franchise scoring star and have placed an emphasis on defensemen, something the Penguins under Shero may have gone a little too far in their approach. Bruins Assistant GM Jim Benning - The 54-year old hockey veteran has interviewed with the Vancouver Canucks twice and based on the timing of where Trevor Linden is in the process, it is unlikely the Penguins would be in a position to speed up their search before the Canucks make a decision. Benning has been serving as the Bruins Assistant GM since 2006 and previously worked as a scout from '93-94 (Ducks) and '94-98 (Sabres), then Director of Amateur Scouting from '98-2004 (Sabres). Benning's experience working with the Bruins could be viewed as a positive since they have had a good mix of young and experienced players with speed, grit and character. Sabres Special Assistant/Advisor Craig Patrick - Yes, we might as well admit there's going to be some talk about this reunion. Patrick, 67 years old, is likely to make a call and based on his relationship with Lemieux, could get at least a sympathy interview. Patrick has had time to reflect on what went right and wrong during his tenure as GM. 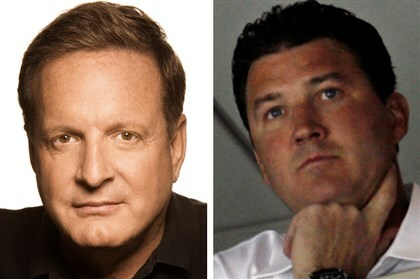 One thing Patrick won't let happen again is hiring a coach with no experience like he was pushed to do with Ed Olczyk. Considering the success of Patrick's last few years drafting talent with Greg Malone at the helm of scouting and most of that talent responsible for the Penguins winning the Cup in 2009, he might be able to convince the team to give him another opportunity. Stranger things have happened in sports, just re-watch yesterday's press conference with CEO David Morehouse. Lightning Assistant GM Julien Brisebois - This 37-year old hockey executive is another young rising star in hockey after serving the last four seasons under Steve Yzerman. Brisebois has been involved with all aspects of the hockey operations by negotiating contracts, advising Yzerman on player personnel decisions, salary cap management, and serves as the team's GM for the AHL affiliate Syracuse Crunch. During the 2010-11 season, Brisebois was recognized by the Hockey News as the top hockey executive under 40 years of age. He worked for the Montreal Canadiens for nine seasons in different aspects of the franchise as Director of Legal Affairs, Director of Hockey Operations, and GM of Montreal's AHL affiliate, Hamilton Bulldogs. Brisebois' resume could be the most impressive set of credentials for any hockey executive that has yet to serve as an NHL GM.